Barbra is currently in the 5th grade and her favourite school subject is English. When she grows up she hopes to become a teacher. In her free time Barbra enjoys playing volleyball. 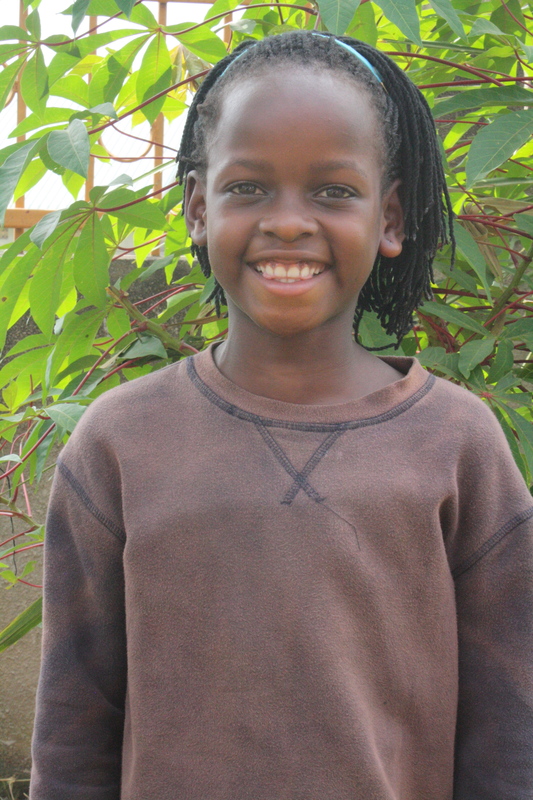 Barbra lives in Uganda, Africa, one of the poorest countries in the world. It is still recovering from 31 years of wars that has left tens of thousands of children orphaned and without any support for their future. Only 20% of the children are able to attend school beyond the first few years. Ugandan communities have been severely affected by the HIV and AIDS crisis, which has now left more orphans than the entire population of New Hampshire. More than three out of every 10 adults is infected by the disease. In addition, a scarcity of physician’s makes healthcare too expensive for families such as Barbra’s to afford. One Woman has helped transform Barbra’s future by providing for educational and healthcare needs. Because of One Woman, Barbra’s dream of becoming a teacher will come true! Please note that One Woman is a Social Enterprise and not a Registered Charity. You will receive a business receipt for your purchase and not a charitable donation receipt.